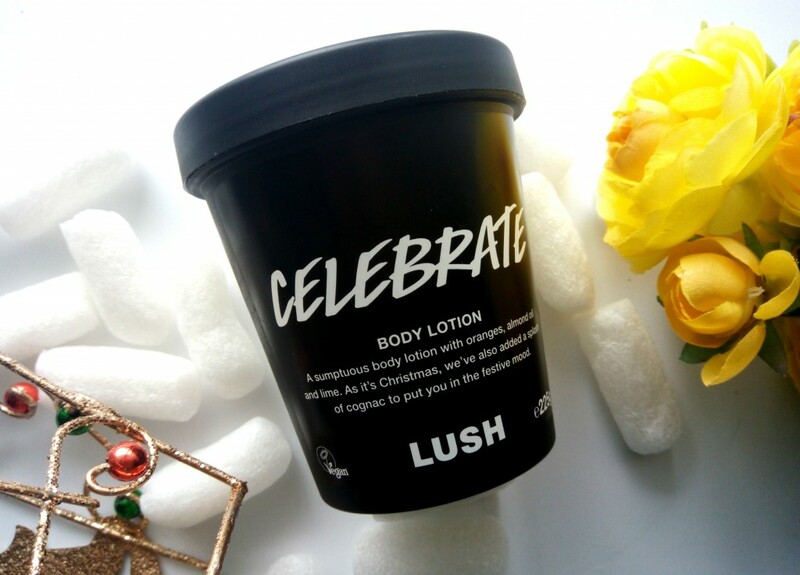 Celebrate Lotion is one of LUSH’s best-selling favorites, Celebrate has returned just in time for Christmas! 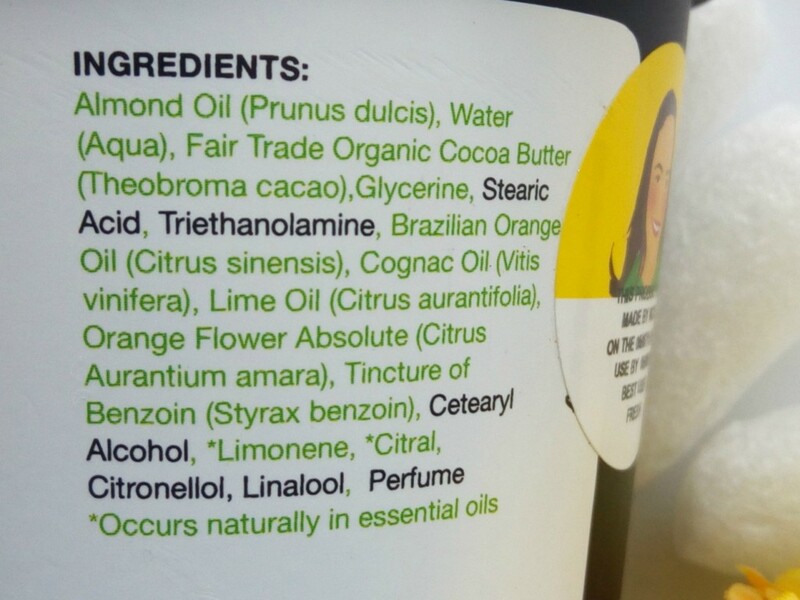 This is a super rich, creamy lotion that deeply hydrates and softens the skin/body with almond oil and cocoa butter, while an intoxicating blend of orange flower, lime, benzoin and cognac oil perfumes the skin with a champagne fragrance that lingers for hours. 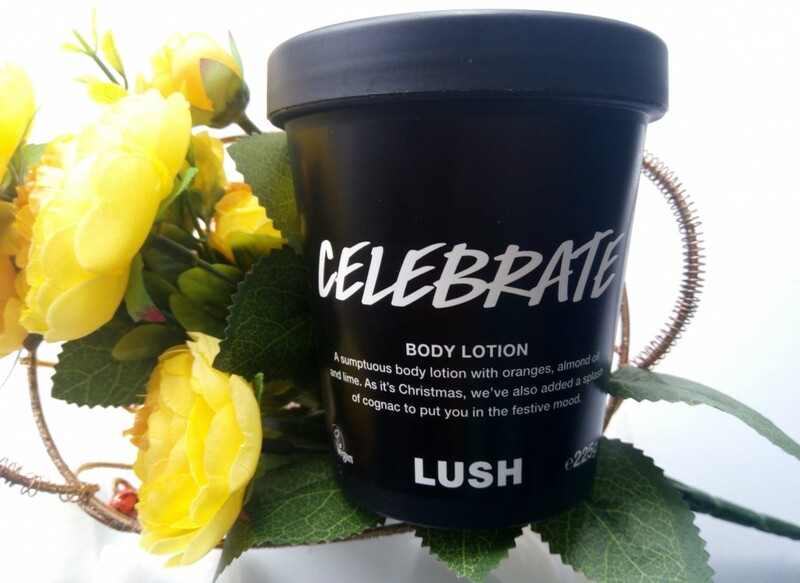 The Lush Celebrate Body Lotion has a light-weight consistency to it, but it’s super moisturizing. It leaves skin feeling really soft, gets absorbed quickly and it’s not at all greasy so it actually works as both a hand and body lotion. I like to use it after a hot shower at night. 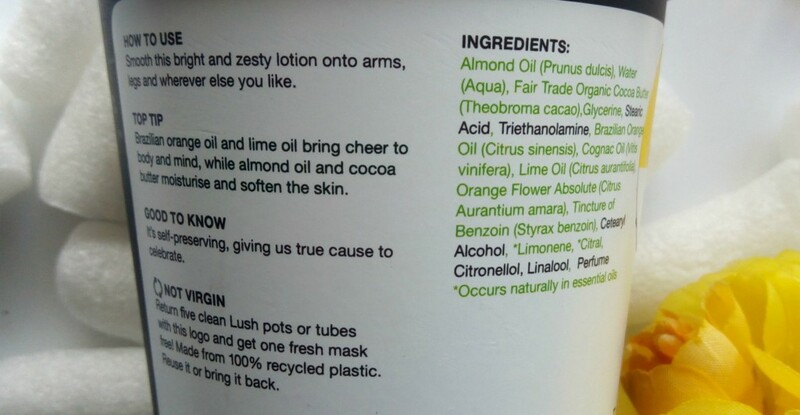 It has a strong citrus-y smell to it and I can really feel the lime essential oils in it which is great, Especially, for NZ summers- this is a must have. It’s also got cognac oil in to give it that festive feel of Christmas and New Year. 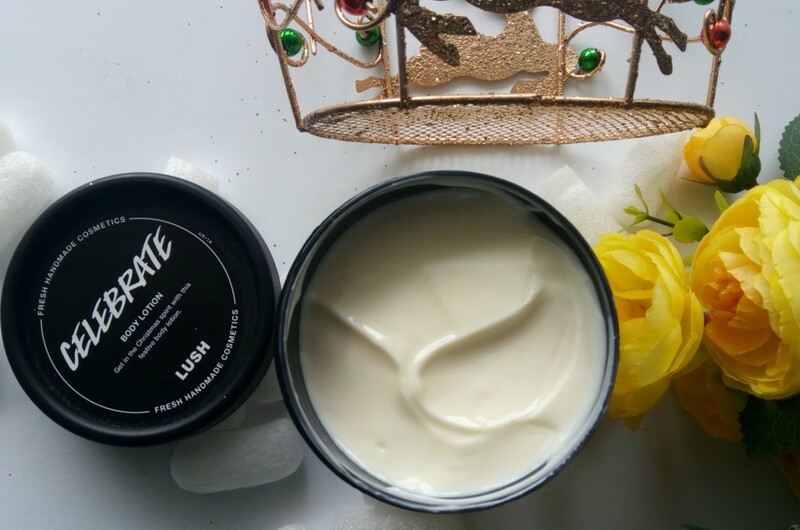 It really hydrates the dry body areas and softens the body with almond oil and cocoa butter. The intoxicating blend of orange flower, lime, benzoin and cognac oil perfumes the skin with a fragrance that lingers for hours. It’s also self-preserving, and shelf life is more than a year, so there’s plenty of time to finish the tub. 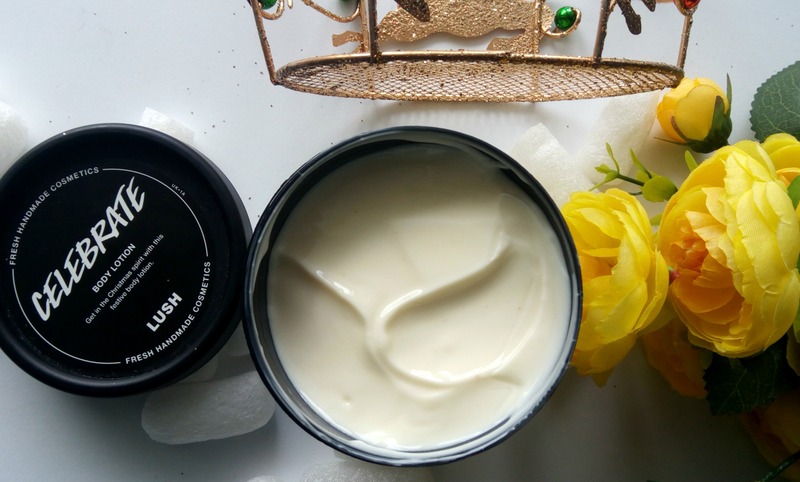 When you empty a tub, you can add it to your stash of clean black Lush pots and trade 5 in for a free fresh LUSH face mask. If you are a fan of citrus-y fragrances and is looking for a light-weight body moisturiser for summers- this is a must have! a must try product from LUSH. Me and my husband have been using it for more than a month now and we both absolutely love it. Proudly Powered by Wordpress. All content is copyrighted © 2011-2019 Makeupholic World. All rights reserved, please do not use, reproduce, take, copy or republish any images/content without my written permission. Excerpts and links may be used, provided that clear & full credit is given to author with appropriate and specific mention to the original content.